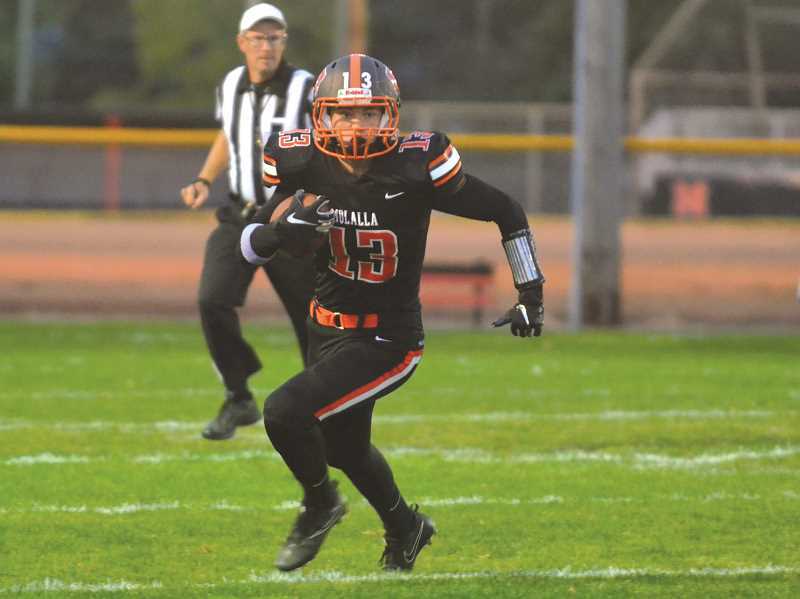 Molalla football may not have earned a berth in the postseason, but several of its team were recognized for their efforts and play during the regular season. Two members of Molalla's offense were named a part of the 2018 Cowapa All-League Football Team offense, two a part of the 2018 Cowapa All-League Football Team defense, and three included in Cowapa Football Second Team. Seniors wide receiver Michael House and running back Jeff Larsen were part of the offensive side of things for the all-league team. Both House and Larsen were big contributors to the team's success early on in the season. For the defensive side of the first team, junior defensive lineman Bo Edwards and senior linebacker Ricardo Gatica were among the player selected. "Ricardo Gatica, who was our middle linebacker, he continued to work hard throughout the season," Molalla head coach Tim Baker said. "He was the heart of our defense. Unfortunately we're losing Ricardo to graduation, but we have Bo Edwards coming back who was first team all-conference defensive lineman. He moved to guard at the end of the season, but he's a heck of a tight end." On the second team, junior linebacker Damian Pingo, sophomore offensive lineman Brady Laccino, and senior defensive back Silverio Lopez Hansen were awarded all-league honors.